Not satisfied with the quality of your eyewear? For any reason whatsoever, if you are not satisfied with your new glasses, you are entitled for a replacement of equal cost or a full refund of your frame and lenses. Please report any issues within 7 days of receiving of your new glasses. Due to the high costs of shipping, Rush Orders (Rush Service) are eligible for a full refund only in cases of errors on our end such as prescription and workmanship. Frame size, and quality issues are eligible for refund at our discretion. 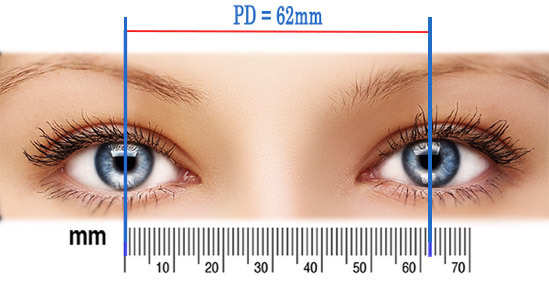 It is very rare that the lenses produced by us are not as per your prescription. However, if so, Overnight Glasses will issue you a full refund or an immediate replacement. Please contact us to receive a shipping label so you may send your new glasses. NOTE: Before contacting us regarding this issue, it is best to wear your glasses for a period of 24 hours, as it usually takes the eyes time to adjust to a new prescription. If the product is lost in transit, Overnight Glasses will issue you a full refund or an immediate replacement. Please wait at least 14 days after receiving a shipment confirmation email before contacting us regarding domestic shipment and 21 days for international shipment. If your eyeglasses arrive damaged, Overnight Glasses will issue you a full refund or an immediate replacement. However, we may ask you to send us a digital picture of the merchandise for our records. We can still help and in many cases frames can be repaired. Please email us with your order number, a detailed description of the damage and images of the damaged frames. For any reason whatsoever, if you are not satisfied with your new glasses, you are entitled for a replacement of equal cost or a full refund. Please report any issues within 7 days of receiving of your new glasses. Overnight Glasses advanced ordering system select lens packages and materials that will guarantee the thinness of your new lenses. As well, you are able to customize your lenses and select an even thinner material. For any reason whatsoever, if you are not satisfied with your new glasses, you are entitled for a replacement of equal cost. Please report any issues within 7 days of receiving of your new glasses. I inputted the wrong prescription, what should i do? Please contact us immediately so we may correct the issue. In the event that you have already received your glasses, we can still help and in most cases we will replace your lenses at no extra charge! All issues must be reported within 7 days of receiving your order. Frames must be returned within 14 days of receiving them. Any product returned after the allotted time is subject to a refund at our discretion. Overnight Glasses may ask you to send a scanned copy of your prescription or a digital picture of the product, in order to resolve any issue in the best possible manner. Before a replacement or refund is issued, Overnight Glasses must receive your original frame.